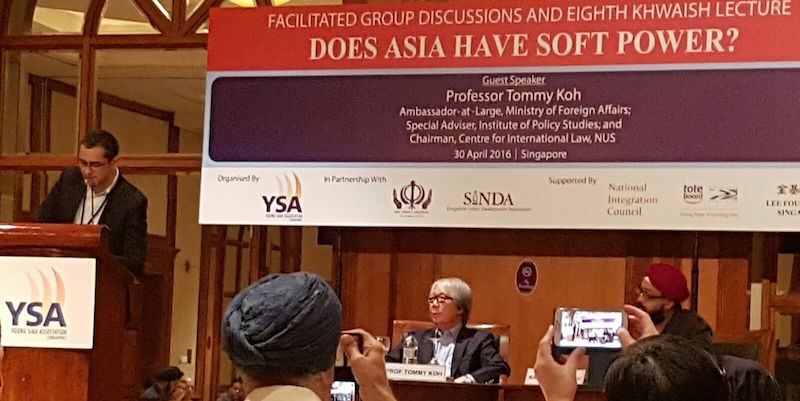 Young Sikh Association Singapore (YSA) managed to catch hold of Singapore ambassador-at-large Prof Tommy Koh for its latest lecture session. Prof Koh, a former ambassador to the United States and also Singapore’s Permanent Representative to the United Nations in New York from 1968 to 1971, spoke about the growing role of ‘soft power’ in Asia at YSA’s Eighth Khwaish Lecture on 30 April 2016. In his address, he said Singapore has been successful in building its soft power which has allowed the republic to maintain its influence and power within the region and globally. He specified three important sources of Singapore’s soft power – having one of the world’s most diverse populations, both religiously and racially; having good governance and being one of the least corrupt countries in the world; and having a well-planned out city and infrastructure. When it comes to exerting influence on the global scale, despite not being a permanent member of one of the three large international groupings – the United Nation’s Security Council, the G7 and the G20, Singapore still wields large amounts of clout due to its representation and chairing of the Forum of Small States and the Global Governance Group, according to a statement released by YSA. Mr Davinder Singh, Member of Parliament for Toa Payoh GRC and YSA’s Advisor, delivered the inaugural Khwaish lecture on “The New World Order: Are Singaporeans Really Prepared?” on 14 August 2004. Mr Kishore Mahbubani, Dean of Lee Kuan Yew School of Public Policy, spoke at the second lecture on “Does Globalisation Erode Cultural Identity?” 19 February 2005. Mr Ho Kwon Ping, Chairman, Banyan Tree Group, spoke at the third lecture on “Domestic and International Challenges for Singapore” on 22 April 2006. Mr Zulkifli Masagos, Senior Parliamentary Secretary, Ministry of Education, presented the fourth lecture on “Strong Heads, Weak Hearts – Singaporeans and the Future of Singapore” on 17 November 2008. At the Fifth Khwaish Lecture on 8 November 2008, HE Mr Sajjad Ashraf, Pakistan’s High Commissioner to Singapore, delivered the lecture on “Race and Ethnicity: Why They Divide? How They Unite?”. The Sixth Khwaish Lecture on 16 May 2009 was with Mr Ong Keng Yong, Ambassador-at-Large; and Director, Institute of Policy Studies, and it was on “Engaging the Citizens in Policy Development”. On 29 November 2014, Mr Piyush Gupta, Chief Executive Officer, DBS Group Holdings and DBS Bank, delivered the seventh Khwaish lecture on “The Issue of Talent and Integration – Global Competition, Local Challenges”. The eighth lecture is organised in partnership with SINDA Youth Club and Sikh Sewaks Singapore. 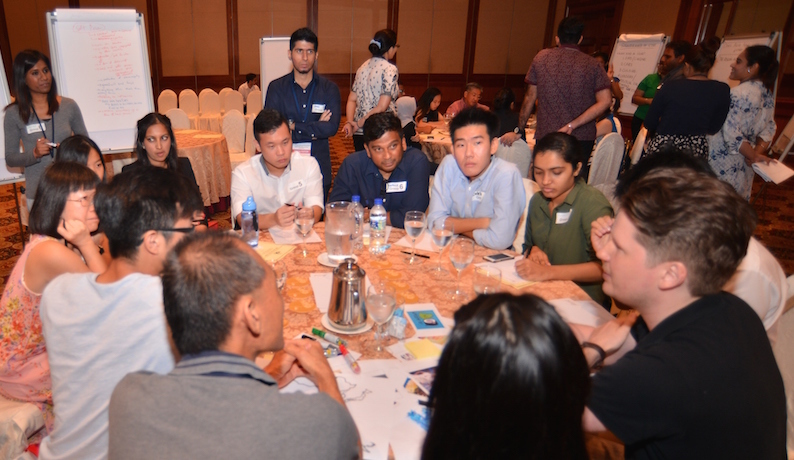 It is supported by the Lee Foundation, Tote Board, Singapore Pools and the National Integration Council.